Are you wasting time stuck in traffic, waiting for a friend or colleague, or driving around trying to find a quicker way around construction? If yes, you’ll be happy to know there’s an app that will help solve all of these problems. The best part is, it won’t cost you a dime. Waze may appear to be nothing more than a traditional navigation or GPS app, but in reality it’s much better than that. Waze stands out compared to other traffic apps because of its network effect, meaning the app becomes more valuable as more people use it. If you or another user notices a traffic jam, police trap or accident during your trip, you have the option of reporting it to Waze, allowing other users to avoid a lengthier commute. Because of the constant real-time updates, Waze takes the guesswork out of your commute and paints a truer picture of how long your trip will really be. Other than just being a good samaritan, providing updates can be worthwhile, as Waze will allow you to earn points to help strengthen your rank in the community. Waze is most effective in highly populated areas since there are more drivers around to alert traffic updates. While your GPS may be able to get you from point A to point B, Waze is able to do that, only much faster. Ever agree to meet up with your friends and you all show up at different times? Waiting for someone else is often high on the list of people’s biggest pet peeves. Fortunately, Waze can help to prevent that from happening in the future. Waze gives you the option of connecting via Facebook, so you can actually see where your mutual friends are on the app’s map. This will give you the option to properly coordinate a meetup time, so you won’t have to worry about your friend who’s always tardy. Waze is able to notify users if roads are closed, allowing you to plan your route accordingly. Not only can Waze make your commute easy, but it can also make it cheaper. Waze users also have the option of reporting on fuel prices, so you can receive live updates on all the gas stations in the area. You no longer need to waste time (and fuel) finding the cheapest gas station on your commute – Waze can do it for you. 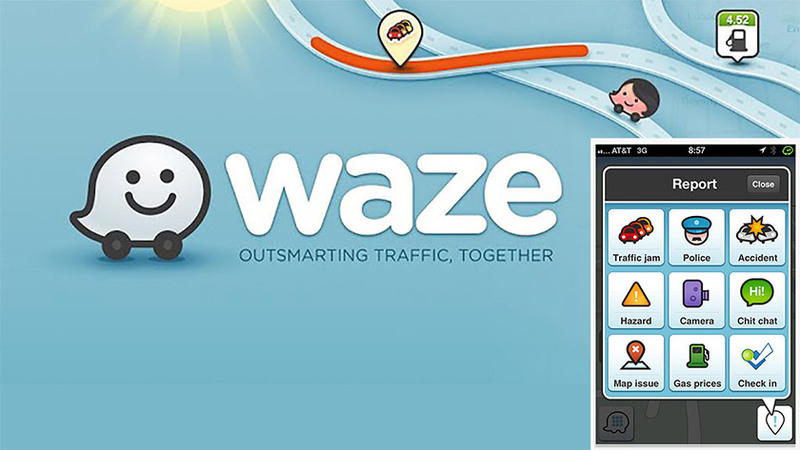 Waze is available for almost any mobile device, including iPhone, Android, Windows Phone, Symbian and Blackberry 10. Just go to your phone’s app store and search ‘Waze.’ It’ll likely be the best decision you make today.